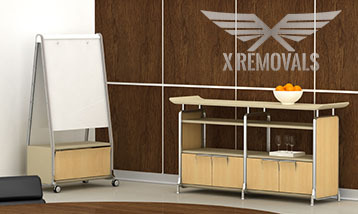 X Removals aims to provide private and business customers with end to end coverage of requirements and unrivalled convenience, so specialised furniture assembly in London is also part of our service list. Our technicians are qualified and experienced in dealing with various types of furniture, including flat pack and bespoke pieces, specialised office furniture etc. The assembly technicians will be extra careful and attentive when handling the different parts and pieces of furniture so there is no risk of damage or errors. The furniture assembly service is available for new purchases – you don’t have to worry about deciphering assembly instructions, fiddling around with tools and parts, or spending hours on end in tricky assembly chores. Our quick and knowledgeable technicians will take care of all that with no fuss and minimum inconvenience, and of course without making a mess. In many cases, in order to ensure the safe transit of existing furniture from A to B, we need to disassemble some or all of it, and transport it in pieces, sometimes pieces also need to be individually wrapped and secured. Naturally, our assembly crews will do this with utmost care and precision so there is no damage to pieces or misplacement of parts, once everything is delivered the guys will reassemble everything back together in a room or area of the property of your choice. Our London furniture assembly service can also be combined with pickup and delivery of new furniture from point of sale to customer specified address, so literally we take care of the entire process from to end. Should the need be there, we can also remove and dispose of old furniture before or after delivery and assembly of new pieces. Combining the furniture assembly with other of our services is a great way to get more value for money and save yourself a ton of unnecessary hassles. The service is available for booking seven days a week, under convenient hours which don’t get in the way of your daily personal or business schedule. In case you have special requirements or considerations, please inform our customer consultants at the time of making your booking and our technicians will come prepared accordingly. When disassembly/assembly is required as part of safe removal and transportation of furniture, we can come out to you for a job viewing prior to the actual relocation, and make sure everything runs smoothly on removal day.